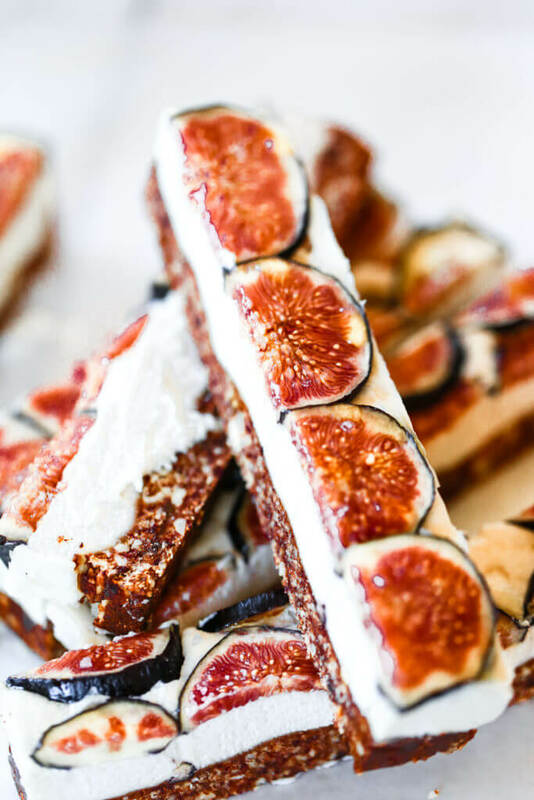 Easy vegan paleo fig and honey cheesecake with a delicious crisp “graham cracker” crust. 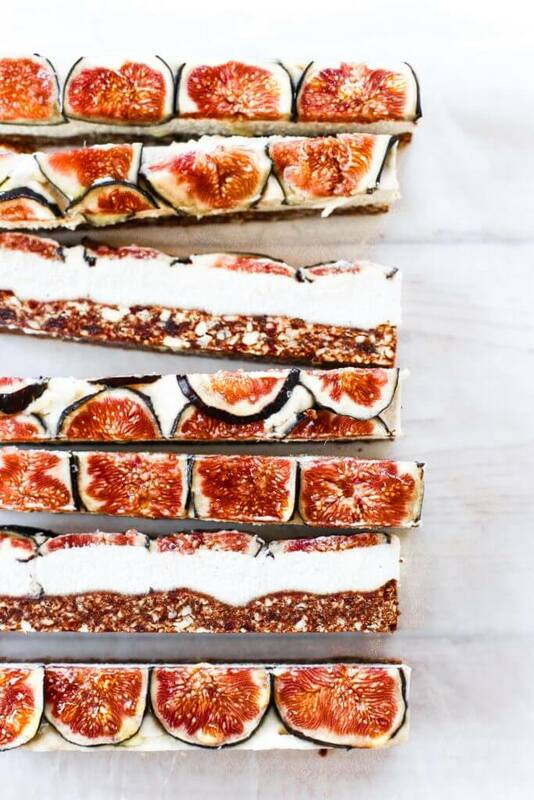 Gluten free and so super easy to make! Freezer friendly, but not a necessity! 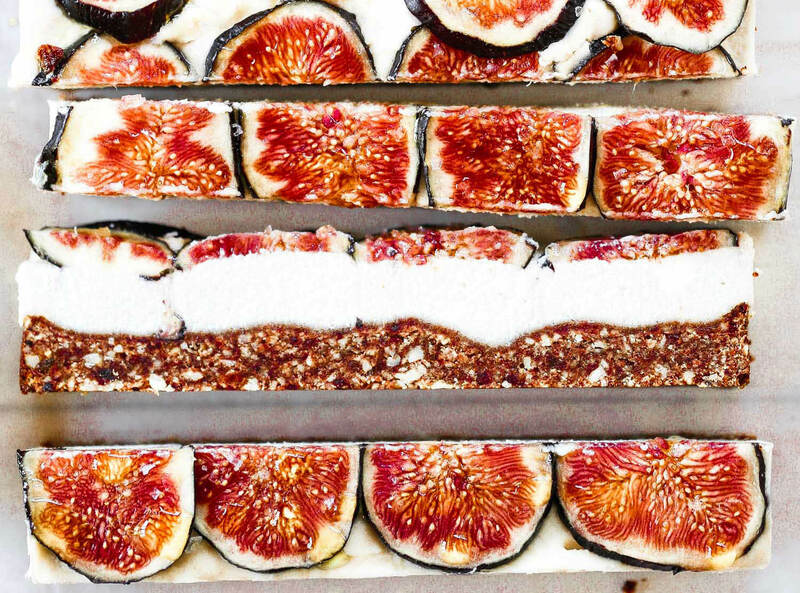 I’ve had sweet figs stashed away in my fridge all week begging to be made into something beautiful (and delicious!). This week I had a backup of creative juices stored up in my brain, because I was without my camera, so no content creation was happening. I just switched over to cannon gear and I am OBSESSED. No looking back! But, I have to say, I really felt naked with out my camera all week. Ugh! Glad to have a new one back in my hands. Feels like home. All that to say, I am really happy to be back making content! Also, If you are curious as to which gear I switched over to, check out my photography resources page. All the goods are listed there! I knew going into this cheesecake that I wanted a nice gorgeous, slightly crunchy “graham cracker” crust. Okay, so there are no graham crackers in here, but if you imagine, it can taste like it! ;). But, I am loving the way this crust turned out! All that thickness and crispy flavor is bomb! If you want to make this recipe 100% raw, then just leave out the cooking step of the crust. It will still turn out great with no baking! Shall we talk about cream for a sec? Okay, so here’s the deal with this cashew cream- I didn’t want a super sweet filling, because the crust has dates, and it’s topped off with honey. So, simplicity is key in this recipe. Just keepin’ it real and lovely. But check out that bite! Mmmmm. SO good! This was the perfect treat for after lunch. And I could go for another right about now… making blog posts tends to do that to me. #hangry! Cheesecake seems to be a common theme this summer. And I am 100% completely okay with that! I have always LOVED cheesecake. It’s just so decadent, creamy, and satisfying! 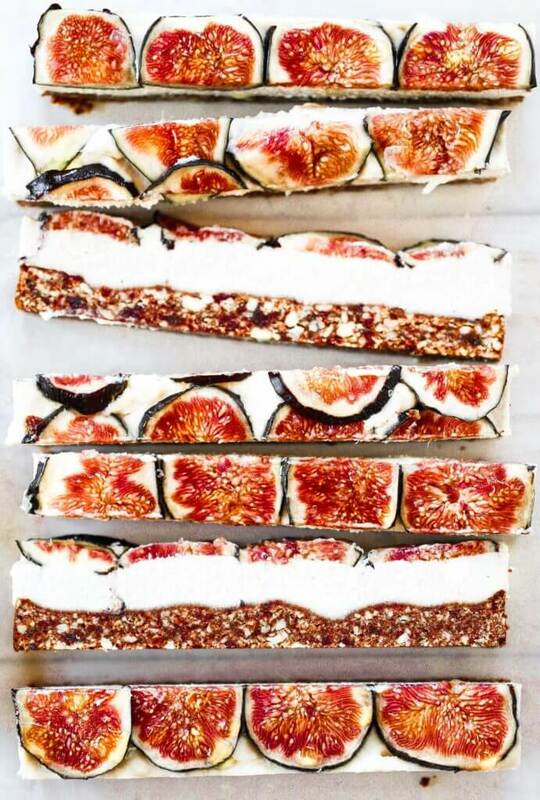 Gimme all the cheesecake, especially the ones with figs and honey! Ready to see how many cheesecake recipes I end up by the end of the summer?? (ya, me too. 😉 ). 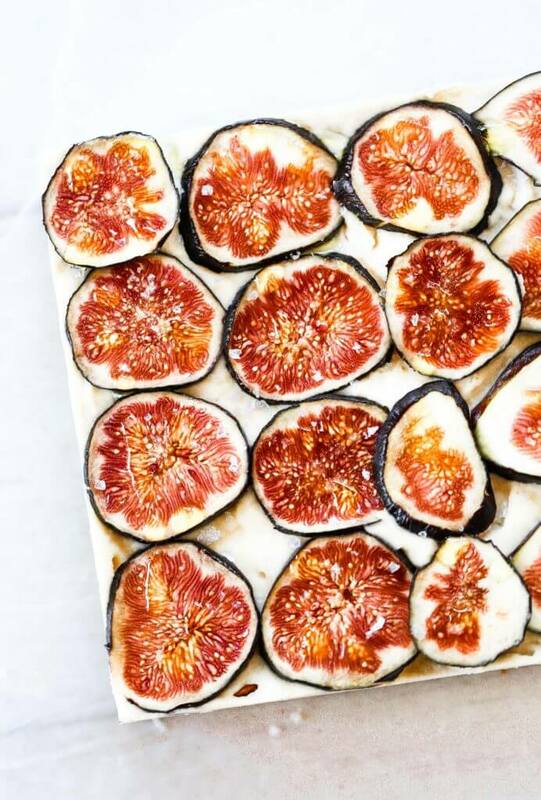 Easy vegan paleo fig and honey cheesecake with a delicious crisp "graham cracker" crust. Gluten free and so super easy to make! Freezer friendly, but not a necessity! 1 1/2 cup soaked raw cashews make by soaking cashews in hot water for 1-4 hours till soft. Preheat oven to 400F. Line a 6" square cake pan with parchment paper. Pulse together the almonds and dates into a coarse texture. Then add water and flax meal and combine. Press crust into the bottom of the cake pan. Cook on 400F for 20 minutes or until golden brown. Puree the cashews in a food processor for a few minutes until they become a smooth texture. Then add in the rest of the ingredients and puree until completely smooth! Spread the filling over the crust. 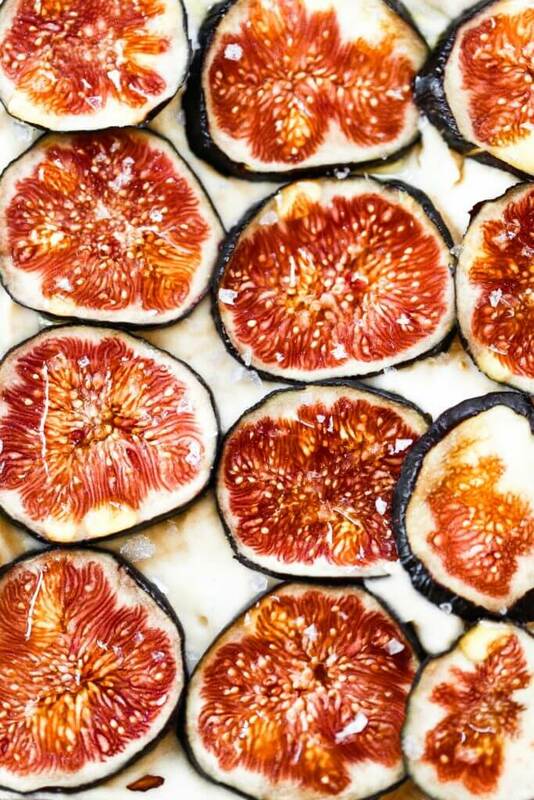 Slice fresh figs into 1/4" rounds and place over top the cream layer. Then freeze for about 1 hour until firm. 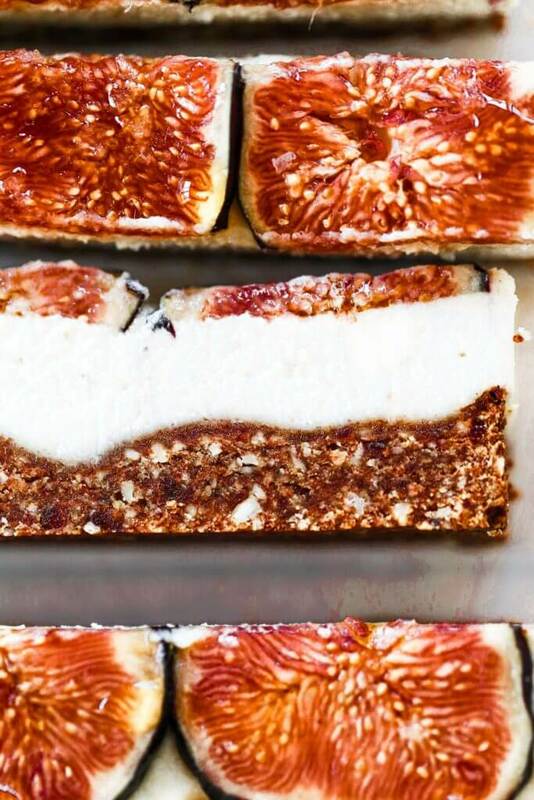 Once the cheesecake has firmed up, take it out of the freezer and drizzle with honey and gourmet sea salt flakes. Cut and serve! Or store in the freezer or fridge. 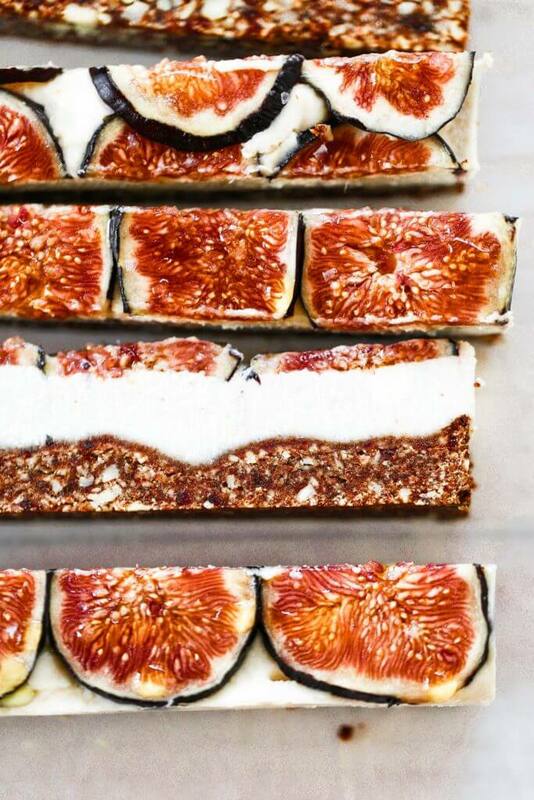 These bars look DREAMY! 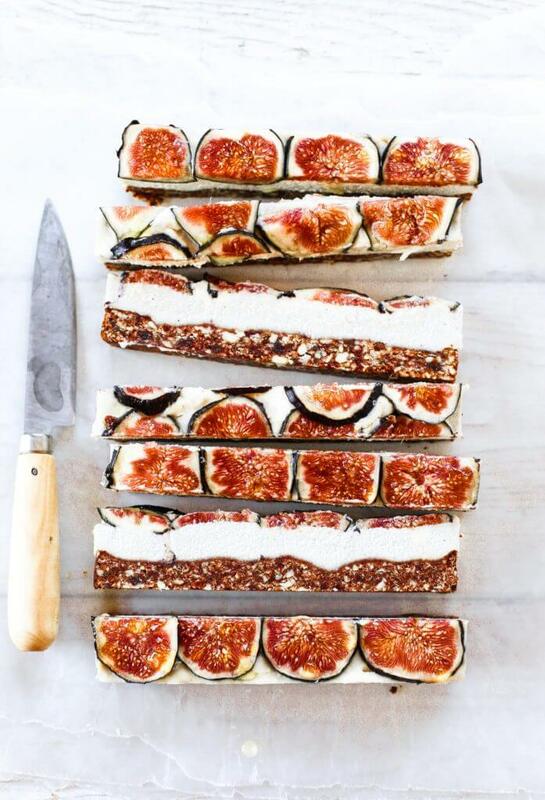 I am so excited for fig season and am racing to the store to pick some up so that I can make this recipe!! !